Barring unforeseen circumstances, a referendum on electoral reform will be held in British Columbia in November of this year.1 It will be mail-in ballot and the ballots must be returned by the end of that month. A change from the status quo will require only a simple majority of ballots cast. There is no turnout threshold or requirement for the geography of the vote. The prospects for passage thus seem rather better than for the 2005 and 2009 referendums on the version of the Single Transferable Vote (STV) recommended by the B.C. Citizens Assembly for Electoral Reform. There, the threshold was 60 percent of votes cast with majorities in 60 per cent of all districts. This threshold was almost attained in 2005, but the 2009 referendum came nowhere close. So how did we get here again? The simplest answer is that a majority of the 87 seats in the current legislature are held by parties with a platform commitment to change. The Green Party, with three seats, states simply that it will introduce proportional representation (PR).2 The NDP, with 41 seats, is fulfilling its programmatic commitment to hold a referendum on changing the system to PR and to campaign for the change.3 The deeper answer lies in the logic of the system. For the Green Party the logic is simple. As a party whose support is small and geographically dispersed, it is at a major disadvantage in a territorially based electoral system. It is a modest irony that the B.C. Greens hold the balance of power in the current legislature because of their strength on southern Vancouver Island. Even so, the party’s 17 per cent of the vote in the May 2017 election gave it only 3.4 percent of the seats. For the NDP, the issue is more subtle and has two parts. Although the B.C. NDP consistently receives more than 40 per cent of the provincewide vote, the party has won only four elections since its first appearance as the CCF in 19334 – including the 2017 election, which the party won only in the sense of being able to strike a bargain with the Greens. The B.C. NDP may be an extreme case, but it conforms to a global pattern. Parties of the social democratic and labour left participate in government about twice as many years under proportional systems as under majoritarian ones like ours.5 The B.C. NDP finally seems to have awakened to this logic. The file has been handed over to Attorney General David Eby, who for a time at least was presented as a neutral arbiter. A modest “consultation phase” was launched, which included a decidedly unimpressive website of electoral system options. A notable inclusion among the range of PR options is Mixed-Member Majoritarian, which no observer deems a proportional system. Most of the many different PR systems are lumped together into one “List Proportional” category. Citizens were invited to complete an online questionnaire that purported to capture the values they wished to see implemented; 88,000 questionnaires were returned. Formal submissions were also encouraged, with a February 28 deadline. Many of these submissions are thin gruel,8 some being simply blanket endorsements of submissions by Fair Vote Canada, Fair Voting BC and their joint agent, Make Every Voter Count. Nevertheless, what meat there has been in the debate so far is to be found here as well. The union movement has weighed in, as have an array of civil society organizations and a modest number of private citizens with idées fixes. The content is dominated by arguments about the referendum ballot: One question or two? Should the alternative to the status quo be a principle or specific alternatives? Some attention is paid to the campaign, especially to its financing. Concern seems widespread not to interfere with municipal elections in October. What is remarkably absent is attention to the details of alternative systems. Even submissions that refer to alternatives mainly confine themselves to which ones should be on a second ballot. Three submissions stand out for heavyweight content. On the pro-PR side are the Canadian Centre for Policy Alternatives and a synthesis report by the BC Symposium on Proportional Representation.9 On the other side is an essay by Lydia Miljan and Geoffrey Alchin for the Fraser Institute. Three consistent threads run through PR advocacy, each with its hostage to fortune. One is a repeated call for candidate choice within parties. For the B.C. Citizens’ Assembly in 2004–05, this was a cardinal virtue of STV. This time around the appeal of list systems seems strong, so the call is for open lists. This may reflect tactical deference to what is believed to be a core value in B.C.’s political culture, or it may reflect an authentic antiparty reformist impulse. But it pushes to the margin serious debate about representation of groups other than parties – of women in particular. A second thread is respect for geography. Constituency work in vast, sparsely populated areas of the province is difficult. But deferring to this concern creates its own inequity. Balancing these concerns leads to proposals for workarounds, such as “local PR” and “rural-urban PR,” which involve – for groups of constituencies – upper tiers, preferential ballots or both.10 The risk here is that attempting to have it both ways requires systems that are hard to explain. The third theme is to insist on close scrutiny, especially after the vote, to neutralize partisan self-dealing. This could involve disinterested experts, citizen engagement exercises or both. The point seems to be reassure voters on the fence. The NDP and Green caucuses filed a joint statement. Much of it concerns campaign finance and the like, but the key point is clear: the ballot should have one question only and it should be general in character. If there must be a second question, it should refer to the values that might be embedded in the new system, not to its specific form. This could reflect a desire to present a moving target, not to be pinned down to a single system that opponents can pick apart. It could also indicate a concern with controlling the shape of a new system. Then again, since not all New Democrats may want a change, this may instead reflect a hope that they will never get into the details. On the other side is the submission from the explicitly (if awkwardly) named No BC Proportional Representation Society. This is the extended shadow of Bill Tieleman, Suzanne Anton and Bob Plecas. Anton was Attorney General in the previous Liberal government and Plecas was a long-serving civil servant identified with Social Credit and Liberal governments. Tieleman is the loose cannon of the B.C. left, with a gift for populist outreach that includes spearheading opposition in the 2009 referendum and engineering the 2011 campaign to repeal B.C.’s Harmonized Sales Tax. The No BC Proportional Representation Society’s brief, like most of the others posted at the Attorney General’s site, focuses on referendum procedure. The demand is for a ballot on a single, specific alternative, as opposed to either a general-principles question or a multipart tournament of alternatives. The submission also urges a return to the 2009 rules, which includes public money for both sides in the campaign. The trio are clearly positioning themselves to receive such funding. On the other side, the rhetoric is already visible in outline.12 Much of it borrows from the 2009 playbook, unsurprisingly since that playbook was written by Bill Tieleman. Worst-case scenarios will be trotted out. They are not hard to find, and all make better copy than earnest recitations of pre-election coalition commitments, stable policy regimes and high turnout. Seats won by extremist parties, especially racist ones, will be highlighted and the success of AfD in Germany will be contrasted with the marginalization of UKIP in Britain. Mention will not be made of how Angela Merkel held the centre while the British Conservatives have largely made the UKIP program their own. And we will be told that the Electoral Integrity Amendment Bill, which is now on the order paper of the New Zealand Parliament and which proposes to ban sitting MPs from changing parties, is both an affront to democracy and the inevitable result, sooner or later, of a shift to PR. The fact that it might actually distill the unacknowledged logic of our own current system, which is actually a closed-list system with only one name on the list, will not be mentioned. Until the ballot is published, the sides will basically hold their fire. And so far, we have no indication of when hostilities will really commence. 1 David Moscrop outlined the background to the referendum and some of the issues at stake in his article “Third Time Lucky? 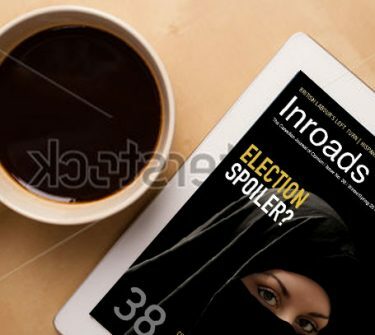 : British Columbians Prepare to Vote on Electoral Reform in 2018,” Inroads, Winter/Spring 2018, pp. 46–51. 2 The proposal can be found on page 67 of the platform, in a section entitled “Government You Can Trust,” here. 4 The CCF broke through to major-party status in B.C. immediately, with about one third of the vote. It has never done worse than that since. 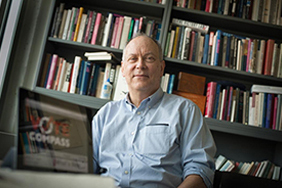 5 The canonical source is Torben Iversen and David Soskice, “Electoral Institutions, Parties and the Politics of Class: Why Some Democracies Distribute More than Others,” American Political Science Review, Vol. 100, No. 2 (2006), pp.165–81. On the unfolding of the logic in Canadian provinces, see Richard Johnston, The Canadian Party System: An Analytic History (Vancouver: UBC Press, 2017), especially chapters 7 and 9. 6 This seems to be a discernible motive for electoral change initiatives in recent years. On this see Matthew Søberg Shugart, “Inherent and Contingent Factors in Reform Initiation in Plurality Systems,” in André Blais, ed., To Keep or to Change First Past the Post? : The Politics of Electoral Reform (Oxford, England: Oxford University Press, 2008), pp. 7–60. 7 The act can be found here. 8 The submissions can be found here. 9 Full disclosure: I participated in the weekend-long symposium but did not formally endorse the resulting document. 10 The basics of “local PR” can be found here. For “rural-urban PR” (also called Flexible District Proportional Representation), see BC Symposium on Proportional Representation, pp. 15–16. 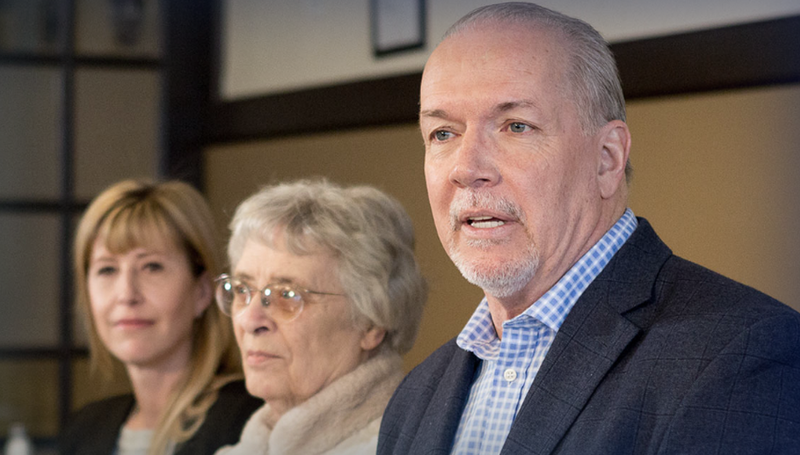 12 The place to start is with Bill Tieleman, Suzanne Anton and Bob Plecas, Let’s Have an Informed Discussion About How We’re Governed Vancouver Sun, April 8, 2018.